5 Things You Don't Want to Miss at the 2016 Virginia Film Festival! 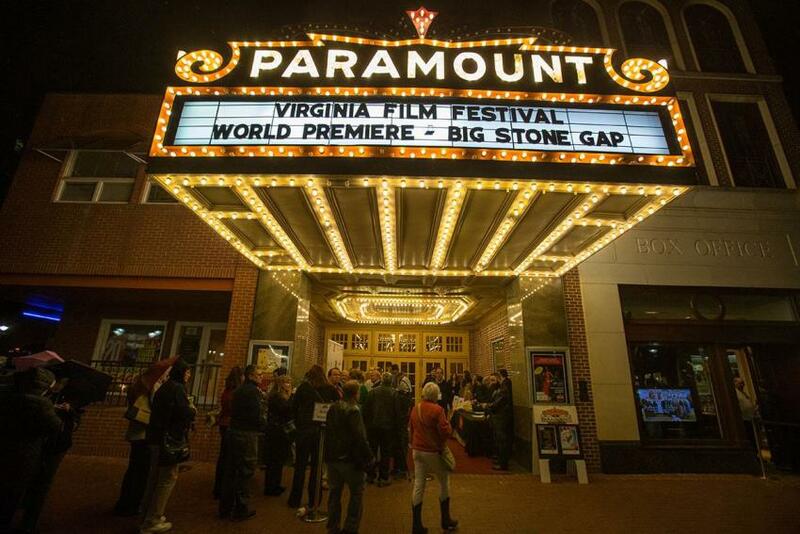 5 Things You Don&apos;t Want to Miss at the 2016 Virginia Film Festival! The fall season continues to zip right along - and with November&apos;s arrival, that means three things for the Charlottesville area: food, family, and the Virginia Film Festival! This year’s festival is right around the corner and with more than 120 different films, appearances from legendary stars, late-night events, plus galas and parties, this year&apos;s festival is sure to be a blast. Here are 5 things that you will absolutely not want to miss at the 2016 Virginia Film Festival! With the 120 + films premiering at this year&apos;s Virginia Film Festival, viewers have an incredibly wide variety of themes, genres, and locations from which to choose. One of the most talked about film this year, which will be premiering at 7:00 p.m. on Thursday, November 3 at the Paramount Theater, is Loving. In fact, it has very recently been announced that Academy Award-winning actor Colin Firth, a producer of this film, will be joining Virginia governor Terry McAuliffe, along with the film&apos;s director, and fellow producers for the opening night screening! This film features the story of an interracial couple from Virginia who married in the 1950&apos;s when it was still illegal to do so. The couple then subsequently took their case (Loving v. Virginia) to the Supreme Court. Additionally, there will be films that make you laugh, cry, and cling to the edge of your seat, so check out the full schedule now! One of the many memorable attributes of the Virginia Film Festival would have to be the featured guests - and this year will truly leave you star-struck. Actress Shirley MacLaine has no doubt made a name for herself in Hollywood and she will be present at this year&apos;s event! With six Academy Award nominations, Best Actress award for her role in Terms of Endearment, and recent performances in shows such as Downton Abbey and Glee, Shirley MacLaine is truly a Hollywood powerhouse. She will be speaking and answering questions on Friday, November 4th, so be sure to take advantage of this amazing opportunity. Also, if you’ve always dreamed of seeing a real-life Disney princess, here’s your chance! Paige O’Hara, (a.k.a. “Belle”) from Beauty and the Beast, will be appearing alongside Don Hahn, producer of Beauty and the Beast and The Lion King, for an onstage discussion. How cool is that? Click here to see even more of the special guests at this year&apos;s event! The Virginia Film Festival&apos;s Family Day takes place on Saturday, November 5 and will once again be held at the Betsy and John Casteen Arts Grounds! This event is a fun-filled way to expose your kids to the world of film, art and creativity…plus, it’s free! There will be family-friendly film screenings, as well as screenings of films made by more than 600 local students. You’ll want to stop by the outdoor arts festival between screenings, because it’s full of workshops, demonstrations, and much more. At the University of Virginia’s Musical Instruments Petting Zoo, the Charlottesville Symphony gives children a chance to touch and try out several different instruments, which may just bring out the inner virtuoso in them! The 12:30 p.m. screening will highlight the day with the 20th anniversary screening of James and the Giant Peach. Let&apos;s party! The Virginia Film Festival hosts several parties and galas which are sure to be unforgettable events! Plus you might even get to rub elbows with some of the celebs of the Virginia Film Festival! The Opening Night Gala at the Jefferson Theater is a night of excitement, drinks, and dancing. Taking place on November 3, it announces the beginning of the festival and brings stars, directors, and guests together in a fun and celebratory environment! The Kool Kats Lite will be performing and hors d’oeuvres will be catered by Harvest Moon Catering. The Digital Media Gallery First Friday Opening Reception gives you a chance to mingle with the artists themselves. Taking place on Friday, November 4 at Second Street Gallery, this informal but festive event is a celebration of the artists that make the Virginia Film Festival so inspiring. You definitely don&apos;t want to miss the Late Night Wrap Party! This event is an exciting and fun way to bring the 2016 Virginia Film Festival to a close. The Late Night Wrap Party will be held at the Main Street Arena on Saturday, November 5 from 10:00 p.m. until 2:00 a.m. You definitely may need to sleep in a bit on Sunday morning after this party! Virginia is a state that is full of love for the arts, and the 11 “Made-In-Virginia” films reflect that love. The Rebound tells a story of a wheelchair basketball team, Before the Fall is a modern-day “Pride and Prejudice”, and Hot Air, a heartwarming comedy, stars Jere Burns (Breaking Bad, Bates Motel) and Matthew Gray Gubler (Criminal Minds). With Virginia’s beauty, culture, and community, it’s hard not to be inspired to create films here. The 29th edition of the Virginia Film Festival runs from Thursday, November 3 to Sunday, November 6th. It’s approaching quickly, so it would be a good idea to buy your tickets now! If you’re a bit overwhelmed and are unsure what you’d like to do or see, the Virginia Film Festival offers a 2016 Movie Matchmaker quiz which allows you to find the perfect fit for you and your friends! My result was “World Traveler”, and I was recommended a list of international films. What was your result? Leave your answer in the comments section below and happy film watching!